Loans to Purchase Property: We can loan up to a maximum of 50% or 1/2 of the purchase price of the property. You will need to have the other 50% cash down plus closing costs before we can help you. In addition we don’t allow any seller carryback second position financing. Our minimum loan amount is $25,000 and our maximum is $250,000. Equity loans/Refinance loans: Our loan decision is based primarily on your Idaho real estate equity, not your credit or income. Basically, if you have a reasonable plan to repay the loan and sufficient equity, you’re approved! We can loan a maximum of 50% or 1/2 of the value of your property. For example, if your property is worth $100,000 we can loan $50,000 or 1/2 of its value. Out of the $50,000, we will need to pay off any mortgages or liens against the property, as well as the costs of the loan. You receive a check for the remainder. Our minimum loan amount is $25,000 and our maximum is $250,000. Please Note: We do not make loans on owner occupied dwellings, either principal residences or vacation homes. Our interest rates and terms are very competitive for the services we provide. Since our rates vary depending on a number of factors, we encourage you to call us for a quick quote over the phone! We review comparable sales of properties similar to yours to determine its current market value. We will also inspect your property to assess its general condition and appearance. In some cases we may order an appraisal if we feel it may be helpful in approving your loan request. Our credit is not so good. Is that a problem? Your credit rating is unimportant to us. We know that many times a poor credit rating can be temporary and may result from circumstances beyond your control. With our business or investment purpose loans, the important thing is that you have a reasonable plan to repay your loan. What types of property do you loan on? Will I have to pay a penalty if I pay off early? No! There are no penalties for paying off your loan early. Ok, so what’s next and how long does it take? It takes about 10 days for you to receive your money. Just pick up the phone and call Rachel at 1-888-477-0444. 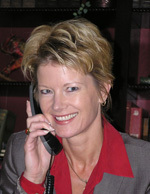 She’ll give you an idea of how much we can loan on your property and what your payment will be. If you decide to go ahead, she’ll ask you some questions, get a few pictures of your property, order a title search and were done! There’s no paperwork to complete. Within a week, we’ll overnight your loan papers to your local title company. Just go in, sign and you’re done! Your loan funds are sent from Roseburg and can be mailed to you or, if you wish, wired directly into your bank account.